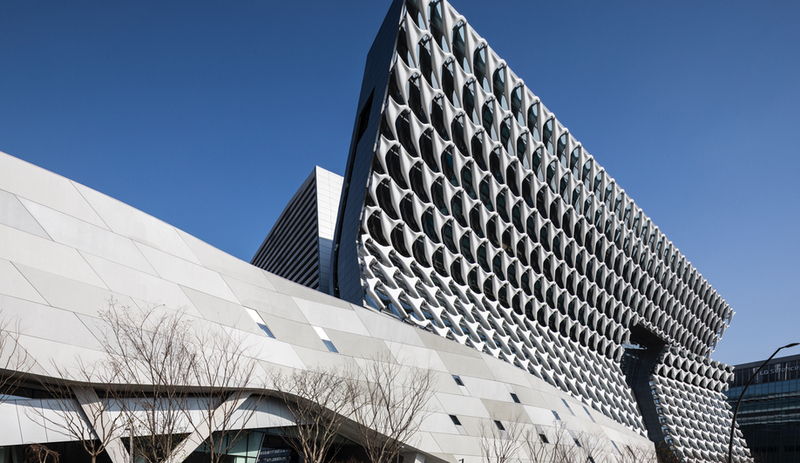 Los Angeles interdisciplinary studio Morphosis completes the Kolon One & Only Tower – a high-performance building with a striking exoskeleton – in Seoul’s Magok district. In South Korea, Kolon Industries is best known for its outdoors products – most prominently, its range of technical hiking apparel. But dig deeper, and the company produces a wide range of materials, many not targeted at consumers: it creates industrial materials, chemicals, film and electronics parts. 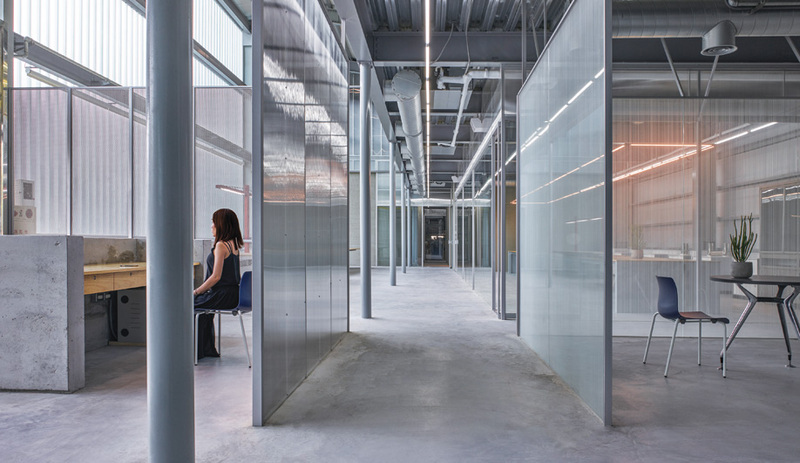 So when Kolon, a portmanteau for Korean Nylon, needed a new, innovative home for its 38 divisions – many of which require labs, social spaces and administrative areas – it turned to Los Angeles interdisciplinary studio Morphosis. Morphosis was tasked with creating a tower that would be the first in Magok, a neighbourhood in Seoul’s southwest that the city is developing into a light industry and tech-focused mini-city. 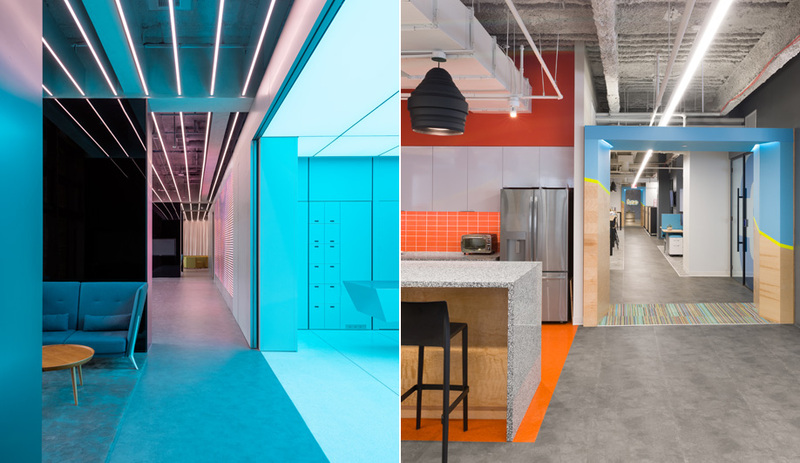 (Its soon-to-be tenants also include some of the nation’s biggest companies, like ubiquitous food brand Lotte and electronics giant LG.) 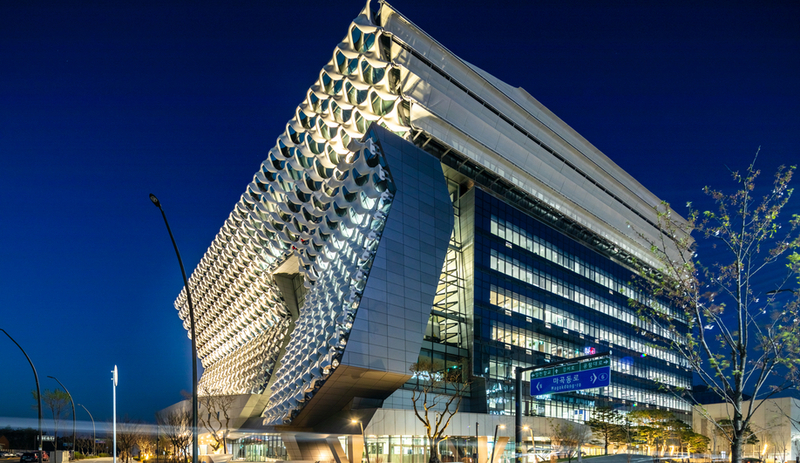 The firm delivered the Kolon One & Only Tower, a stunning 820,000-square-foot research and development facility that is unabashedly futuristic while minimizing its energy load and maximizing the well-being of employees. Built on a five-acre plot, the building fuses two forms: a glass box, which contains offices, and a folded volume that houses laboratories. 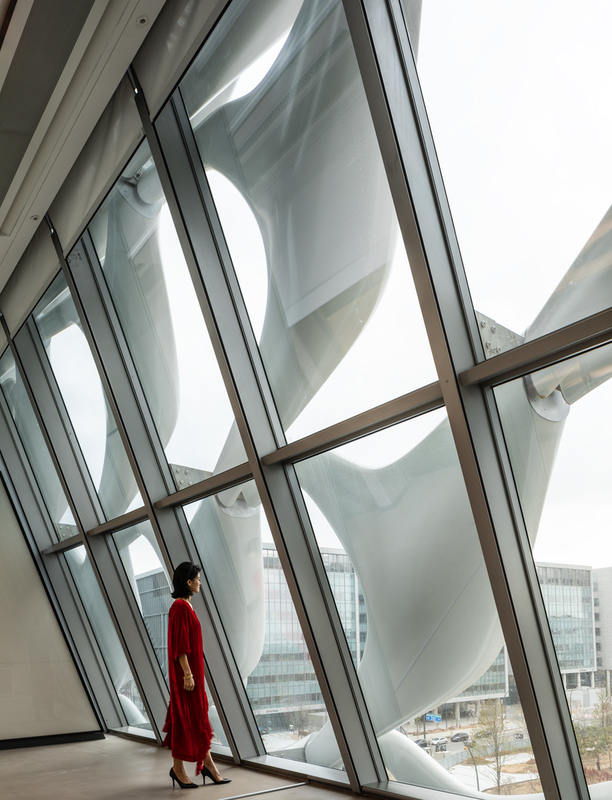 Let’s start with the most dramatic feature: the folded volume, which is defined by a sharktooth exoskeleton that’s part Zaha Hadid, part stormtrooper. 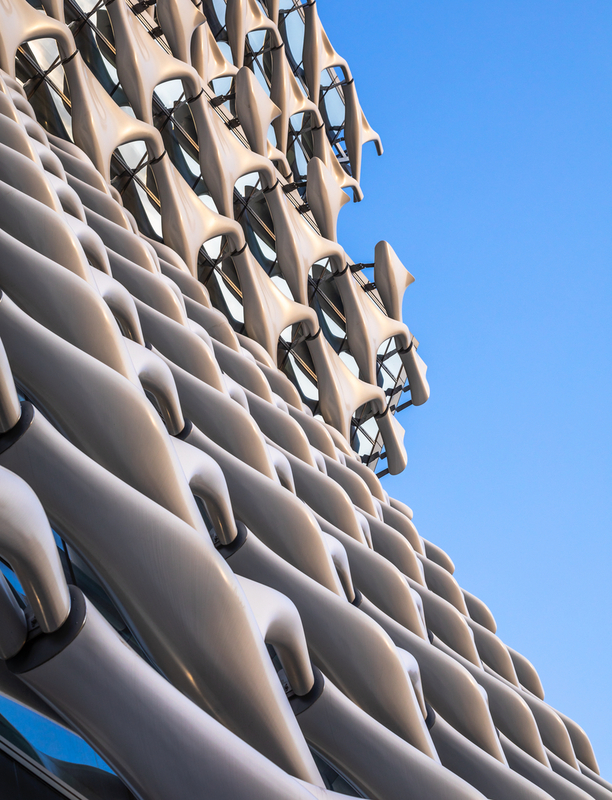 Located on the west side of the building, the skin is actually a brise-soleil made from a series of parametric sunshades; they are constructed from Kolon’s proprietary fibre-reinforced polymer. The sunshades provide a mesh-like facade that the firm says is “analagous to woven fabric,” providing both shading and views. Hidden support structures allow the skin to seemingly hover atop the glazing below. The entire folded volume, which will house a flagship Colon store and exhibition spaces at its base, gestures to Magok’s central park, which Seoul hopes will become the heart of the emerging district. 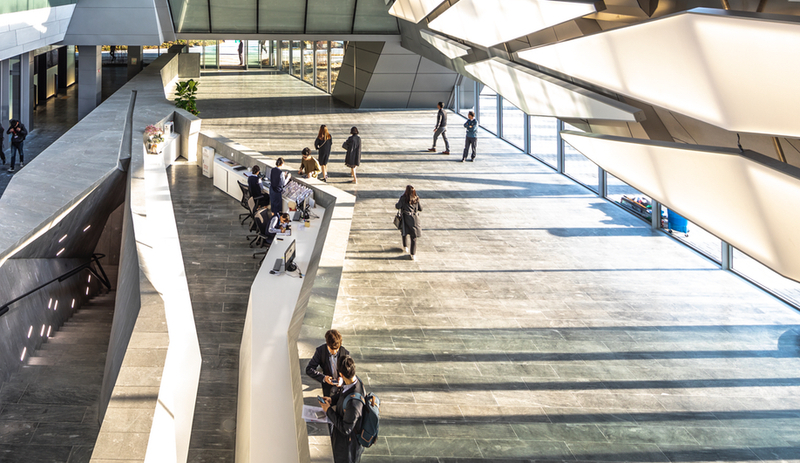 Roughly 15 per cent of the building, or 123,000 square feet, is devoted to employee well-being, and that’s evident from the moment one steps inside the One & Only Tower. 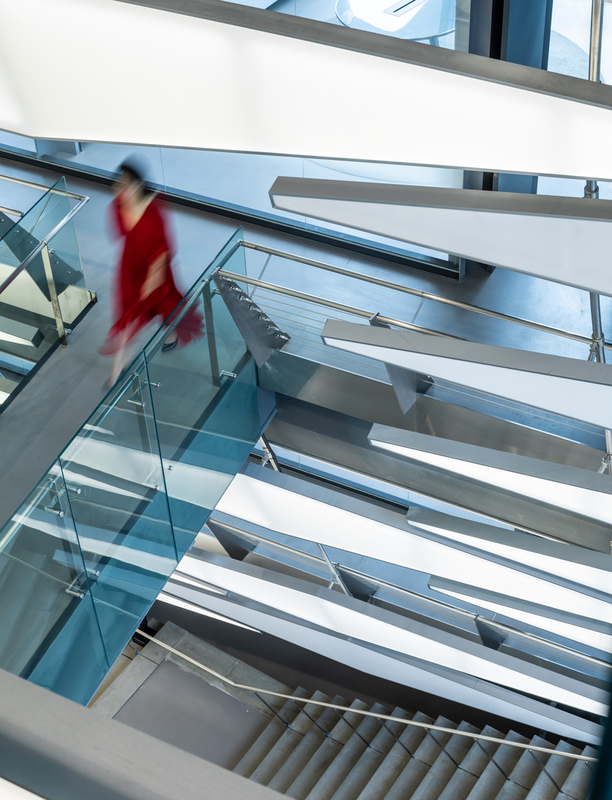 The building’s 100-metre-long, 40-metre-high transparent atrium serves as a central social space. 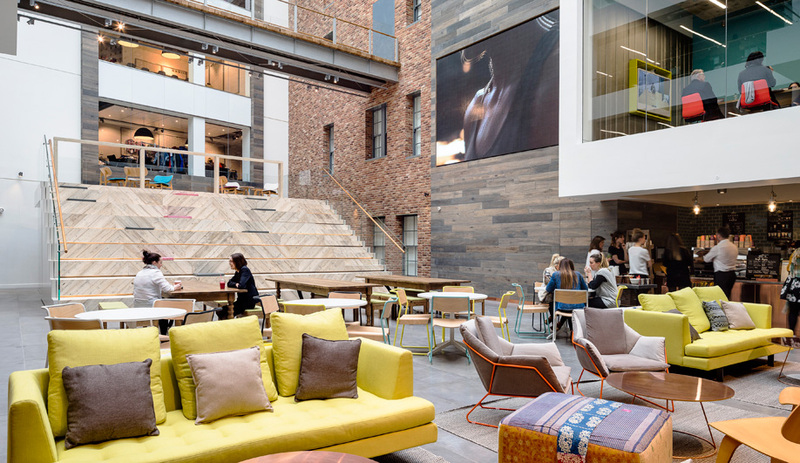 As workers filter into the atrium from street level or the offices above, the atrium will accommodate gathering and collaboration among employees in the company’s many departments. The atrium is framed by a dramatic installation made from 400 eight-metre panels of Kolon fabric. 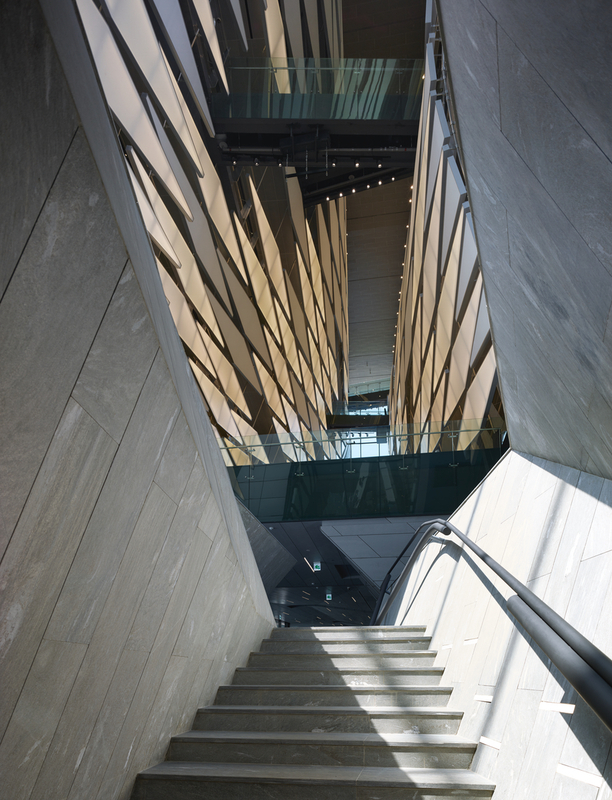 The atrium’s ample daylight and folded skin allow the building to reduce its cooling loads and the need for artificial lighting. 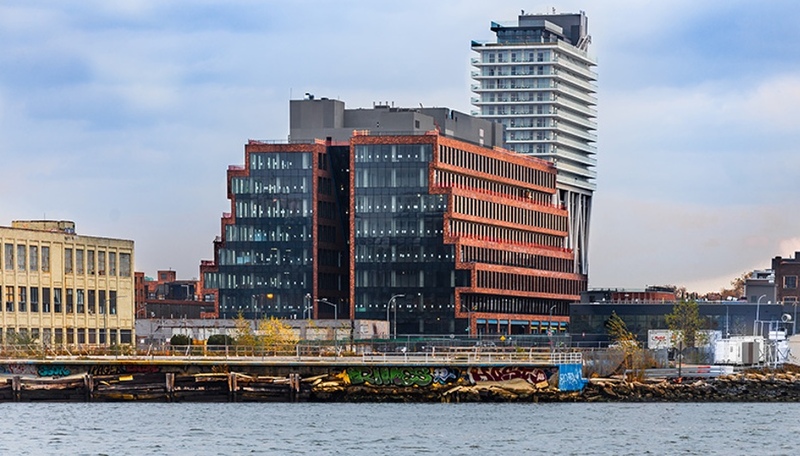 In its quest for LEED Gold Certification, Morphosis topped off the One & Only Tower with a green roof and photovoltaic panels, incorporated recycled materials wherever possible and constructed the building using bubble deck slabs. 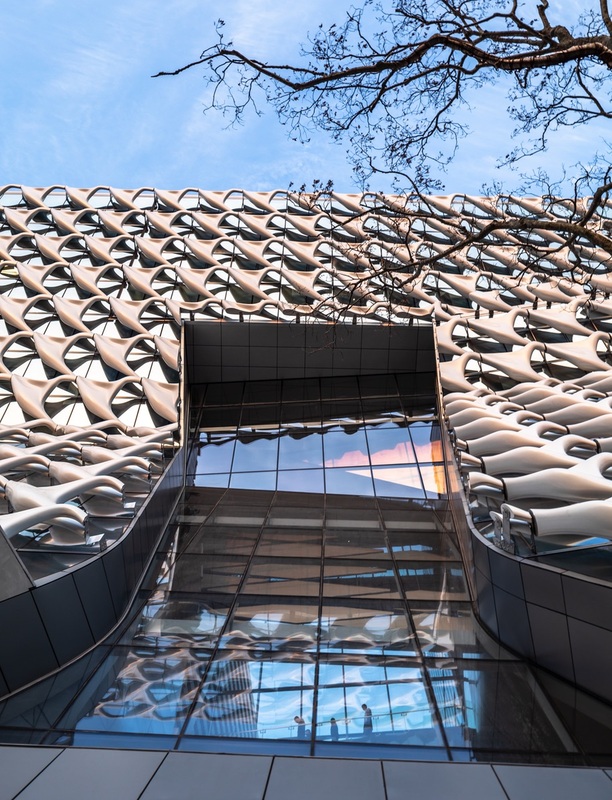 The latter technology, one of many that is making concrete more sustainable, uses plastic balls to reinforce the material; in using bubble deck slabs, Morphosis was able to reduce its concrete usage by 30 per cent. We’ll see if the Magok district follows in the One & Only Tower’s steps.